This easy-going short-sleeved shirt is made for garden get-togethers and sunset sangrias. Choose from two designed-in-house patterns, woven rather than printed for a textured effect. The pure slub cotton is lightweight and garment washed for softness. 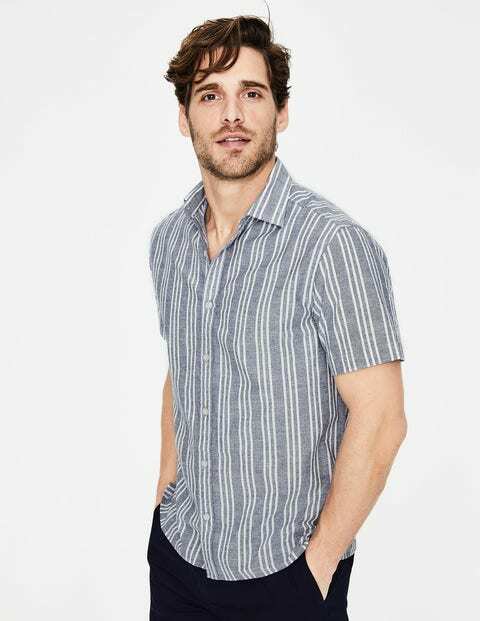 A cutaway collar makes this shirt the perfect partner to chinos.